Unfortunately, many people suffer from long standing problems as a result of birth defects (scoliosis), injuries sustained in adolescence (sports related injuries), old traumas from prior accidents (falls, car accidents), or job and or age related micro/degenerative traumas which have worn out the body’s ability to adapt (disc herniation, sciatica, arthritis). Each of these conditions requires supportive care to help manage a chronic condition which has led to degenerative changes in the spine and is usually associated with some level of pain. If left untreated, the degeneration and pain both get worse and the patient’s quality of life suffers. Through patient education, you will have a better understanding of your chronic problem and how to effectively manage the condition. 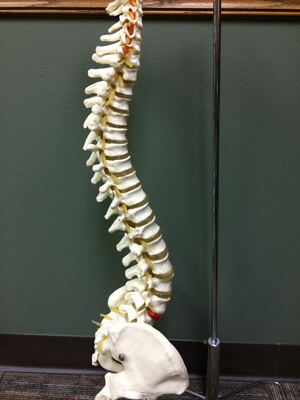 The goal at Firm Foundation Chiropractic for the chronic patient is to slow the degenerative process by stabilizing the spine as much as possible. Using manual adjustments, postural muscle exercises, ultra sound and spinal decompression/traction, the patient can slow any further degeneration as well as reduce their overall symptomatology thus improving mobility and quality of life.